This week, a guest blog from Simone Dogherty, an Education Officer at the Museum. 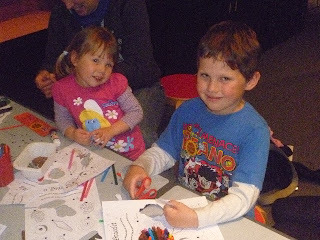 On the first Saturday of every month, the Education team delivers free, family-friendly, drop-in activities. This month, we ran one in conjunction with the Small Blessings project, called ‘It’s a Kind of Magic’. 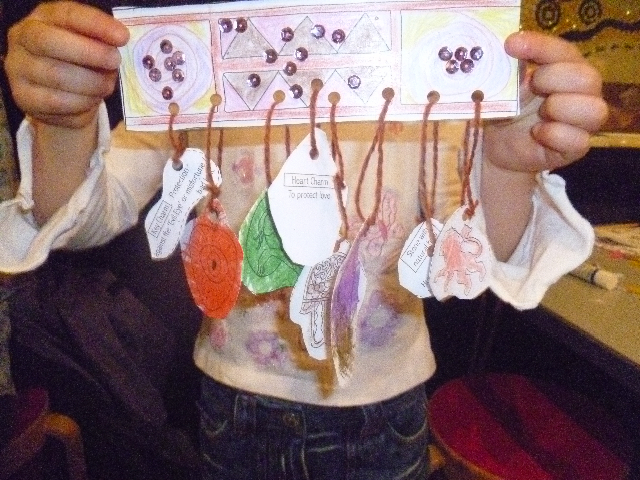 We had a range of activities on offer during the afternoon to get families interacting with the charms and amulets on display in the Museum. There was a trail, called ‘Charm Challenge’, which guided families around specific objects in the amulet displays and encouraged children to design their own. 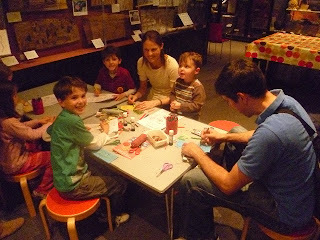 There was also a handling table, where families could hold real Museum objects and discuss them with trained volunteers. 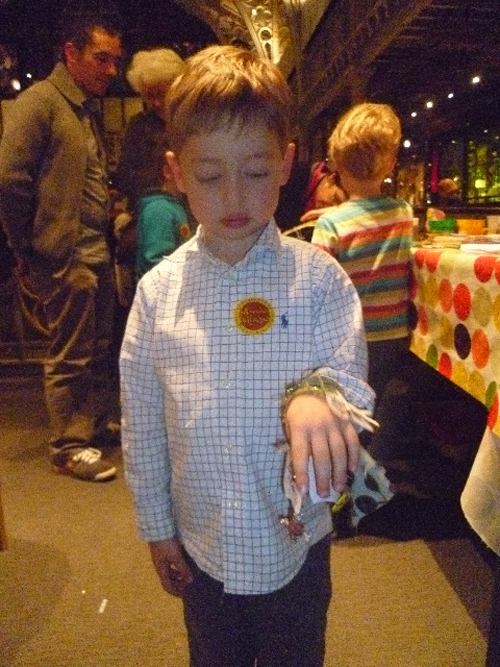 Finally – the biggest attraction – a ‘Make-and-Take’ activity, where families could decorate a charm bracelet or armband, and hang from it paper charms based on real ones in the collection. This Make-and-Take was a nicely straightforward activity to create. Charms and amulets naturally lend themselves to being worn, or carried around with you, so making a bracelet or armband seemed an obvious choice. It’s always nice to have a strong connection between the objects and an activity, to ensure that the families also get a valuable educational experience out of it, often without realizing. Also, the most successful Make-and-Takes are always those where the children (and adults!) get to wear what they make. There’s always preparation for an event like this. You have to create and present the activity and trail in a way that enables families to learn a lot without much effort, as well as make them fun and enjoyable so they have a positive experience in the Museum. It’s a difficult balance to strike, so a lot of time is devoted to this. Then there’s all the photocopying, laminating, and setting up the activity space. On the day, a huge amount of work is done by a wonderful team of volunteers who assist families, run the handling tables and promote the other activities going on, so I get the opportunity to step back and check that it all runs smoothly! We had lots of positive feedback and, even better, lots of families were keen to head downstairs to see the amulet displays and learn a bit more about them. More than 100 children participated in the activities, which hopefully reflects the large number of people inspired by the collections, and who discovered new things about charms and amulets from around the world!